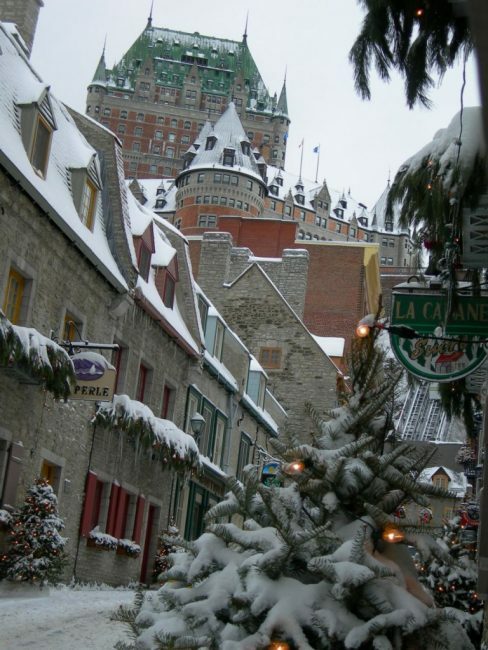 There is no city more beautiful in the middle of Winter than Quebec City. with Whoopie Goldberg and Christopher Plumber. If it is a magical enough setting for a Hollywood holiday film, it is certainly magical enough for us to spend a few days there in the heart of the cold season. The people of Quebec are a hearty bunch and they know how to survive the winters. Put on your puffy coat and snow pants, warm winter boots and cozy hats and mittens and get out of the house. People are out if full force in Quebec City. There is an outdoor ice rink right in the old part of town and boutiques line the narrow streets as passersby stop in for a peak. 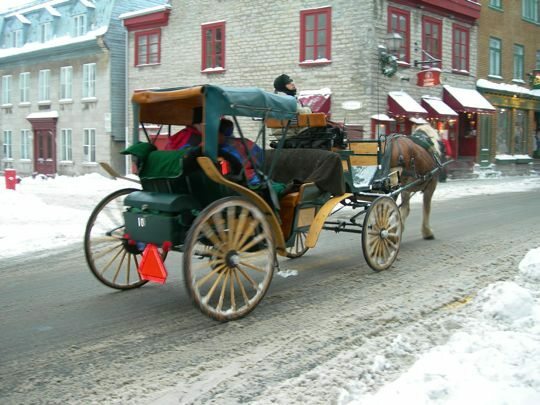 People even take horse-drawn carriage rides right in the middle of winter. Covered with a blanket or two, it is a timeless way to explore the back alleyways of one of the oldest cities in North America. Founded in 1608, it has a rich history that is has held on to proudly. 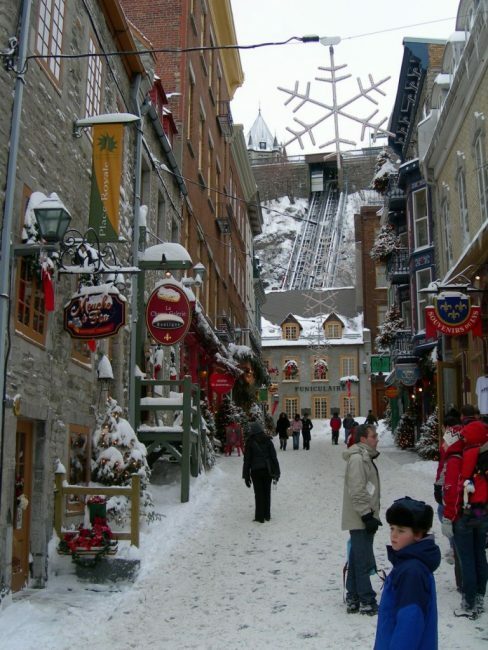 Quebec city is also the last fortified city in North America. 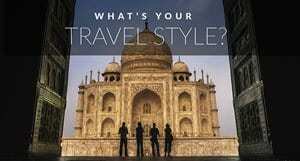 Its walls lend an old world charm to the already historical city. Standing tall over old Quebec City is the gorgeous Chateau Frontenac. Located right on the St. Lawrence River, it is the epitome of luxury. We stopped in for a visit and you must be sure to be there for tea time, but our budget allowed us to stay at more modest accommodations. Albeit quite beautiful and luxurious in its own right. We stayed at Lowes Le Concorde, located within walking distance of Old Quebec City right at the Plains of Abraham. When we looked out our window, we could see cross-country skiers gliding along the plains beside the St. Lawrence. It was absolutely stunning. We enjoyed a lovely dinner at the revolving restaurant at Le Concorde. It is the highest spot in Quebec City and we had a birds eye view of Old Quebec, The St. Lawrence River and the rest of the town. When you come to Quebec, it is all about the food and wine. We had cheese, chocolate and meat fondue's and crépes, duck, red wine, white wine, café au lait and lattés. Ah, the list goes on and on. We had to roll ourselves to bed each evening. We met our good friends Gilles and Mark that we had met in Vietnam a few years earlier and they treated us to a raclette with more wine and spirits. We enjoyed the Raclette so much that we bought one before we left the province. 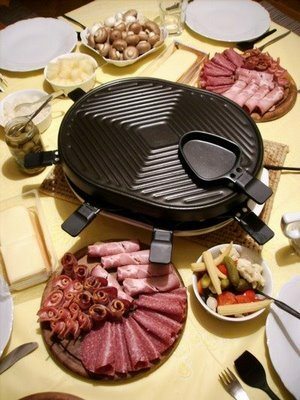 Wondering what a raclette is? Well, it is only the best eating experience you will ever have. A hot skillet is placed in the centre of the table where each guest cooks their own assortments of meats as the strong raclette cheese melts in a pan underneath. Put on some onions and peppers and let it all sizzle. Once you have cooked round one, pour it over potatoes or bread and mmm, you have the most delicious meal ever. What I love is how social it is. This can go on for hours as you cook a little meat at a time, sip your wine and enjoy the conversation. Being adventure seekers, we couldn't come to Quebec for shopping and food alone. 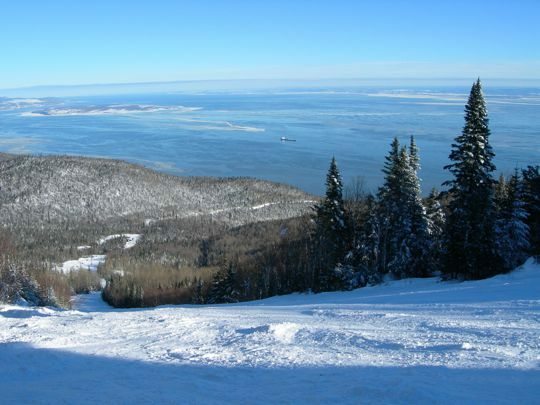 We took off for a day of snowboarding at Le Massif. 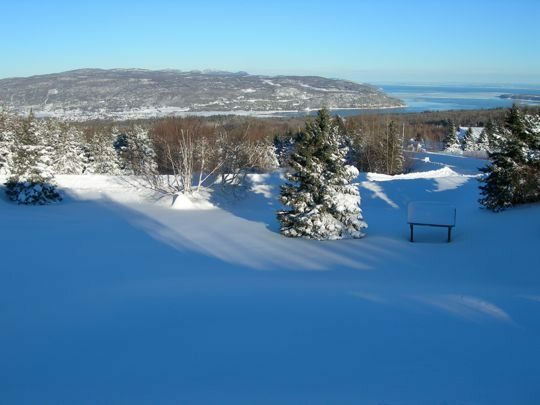 It is a smaller hill than Mont St. Anne, but the views here are spectacular and it is much closer to the city. We found ourselves once again overlooking the St. Lawrence as we cut our edges into the snow. A cargo ship was passing through and it made for just the perfect photo opportunity. The weather was very cold for snowboarding. Our cheeks froze and we were grateful to warm up in the chalet with hot chocolate. It was difficult to pull ourselves out of the warmth for the second half of our day on the slopes, but being Dave and Deb… we had to get our money's worth and snowboard all day whether we liked it or not. We came here to snowboard, and we were going to snowboard all day long, even if it caused some mild frostbite on our ears. On our way out to Le Massif, we caught a view of Montmorency Falls. These falls are actually higher than Niagara Falls. I am sure that they would be quite impressive in the summertime. In the winter they must look smaller with all of the water being frozen. 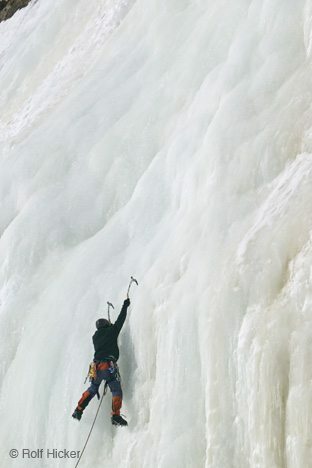 However we will be sure to visit Quebec City again in the winter to ice climb the falls. Now that would be a thrill and adventure to climb Canada's second highest waterfall. 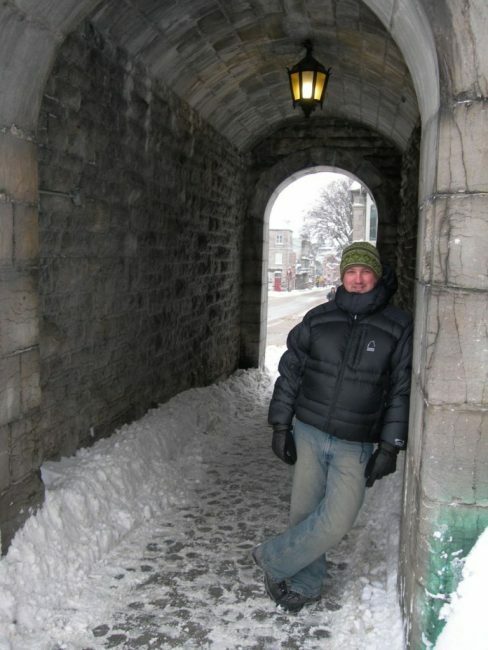 Quebec City is definitely a hot spot for cold times. It is such a popular winter destination that they host the annual Carnival. For two weeks at the end of January to mid-February and outdoor celebration is in full force. Ice and snow carvings, massive snow slides, outdoor cinema, ice skating and parades are happening daily. Wow, the French really do know how to live life to the fullest. 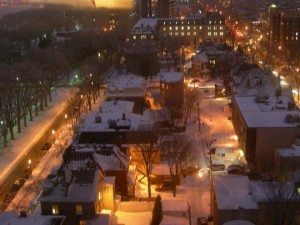 22 Responses to "Beautiful Quebec City, A Winter Wonderland"
Great post, and once again, amazing pictures. 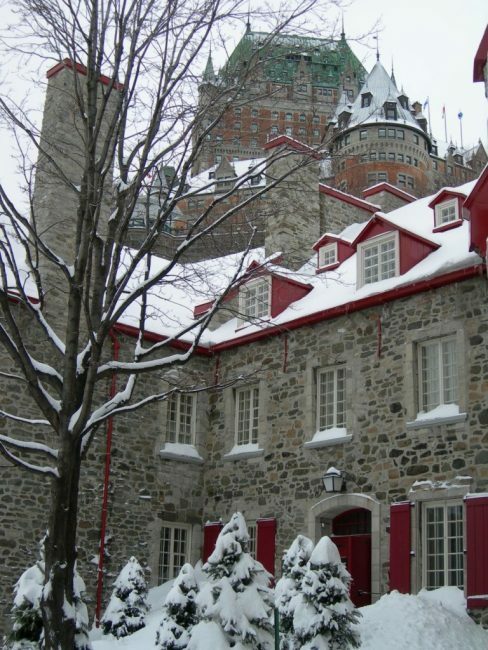 Quebec City is very beautiful in winter. Very nice. Been to Montreal in 2009 to visit a friend and i was searching for Canada photos just to remember and i found your post. Thanks for sharing. I love Quebec. Thanks Ricardo. We haven’t been to Portugal yet, but really want to visit one day soon. I am so glad that you loved Quebec. Montreal is a great town. 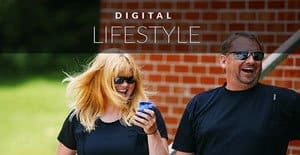 Hi .The ultimate way for sharing success means with others is to build up loyal readers. 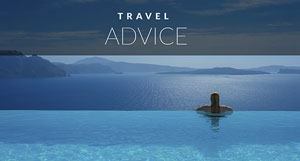 That’s exactly what you are doing using this type of useful post.Best regards from Ireland. Hi Pierre, so glad that we could bring back good memories. Have you made it home? Where are you living now? Excellent pictures. I would love to try the Raclette. 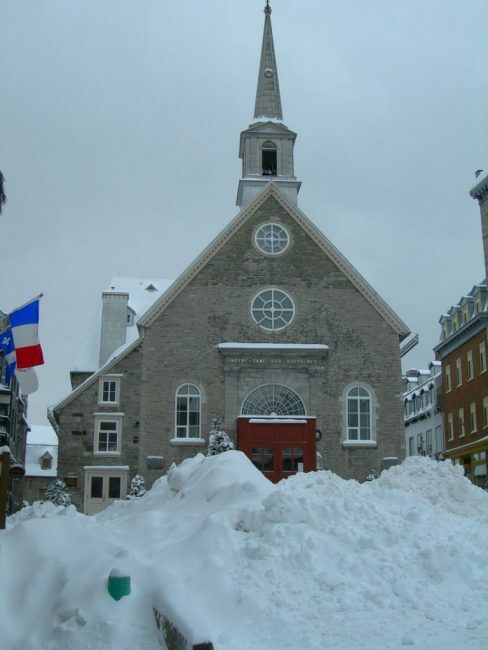 And as a Floridian who often travels north in the winter to get a taste of true winter weather, I am intrigued by the idea of visiting Quebec City. .-= John´s last blog ..Port Angeles =-. 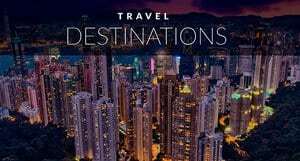 My elderly parents have expressed an interest in taking a train ride across Canada, and being the DD and DSIL who do all of their travel planning, we’d go with them Our schedule dictates that we have to go before Memorial Day or after Labor Day in 2011. They live about 1 1/2 hours from Niagara Falls, so that seems like a good departure point or end point (and one-way flight to return or depart, depending on whether we go East to West or West to East). Amy, you do have to get a raclette. It is always a hit with company. People love cooking their own food and it is so delicious! Beautiful Quebec indeed. 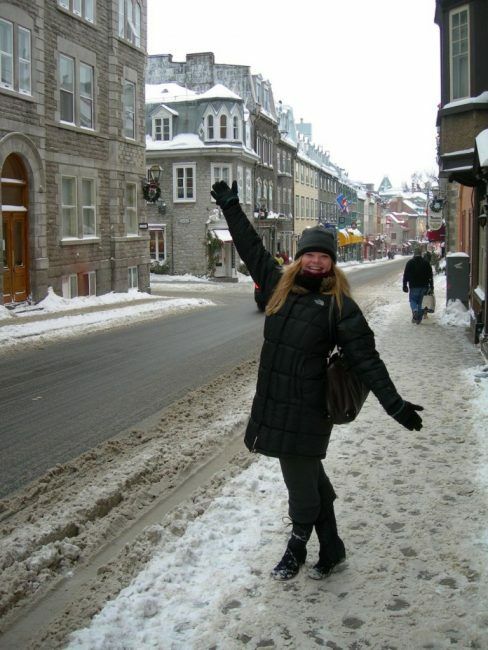 Make me (the one who probably couldn’t take any snow) would want to visit Quebec in WINTER!! .-= Amy @ The Q Family´s last blog ..Little Zoo Aboard Carnival Cruise =-. Great post – and once again, amazing pictures. Quebec City is extremely beautiful. Last week we made a quick stop and checked out some of Old Quebec, if our budgets had allowed I would have loved to stop for duck & wine & cheese. I love cheese. Mmmm. I definitely need to get back to Quebec for a proper tour around town. I have some friends just outside of Quebec City, perhaps I shall commandeer them and see a little more. Maybe experience a little Quebec Frost Bite…Do you think it feels the same as Saskatchewan Frost Bite? .-= Corbin´s last blog ..Updates from the Van – Leaving Ontario =-. haha, I was exaggerating a little about the frostbite. But I have to say, I have a perpetual sore ear that feels like it has definitely been frostbitten and I blame it on all of the snowboarding in freezing temperatures. I don’t know why, but it seems like whenever we go somewhere French, I have to have duck. It is the only time I ever eat it!